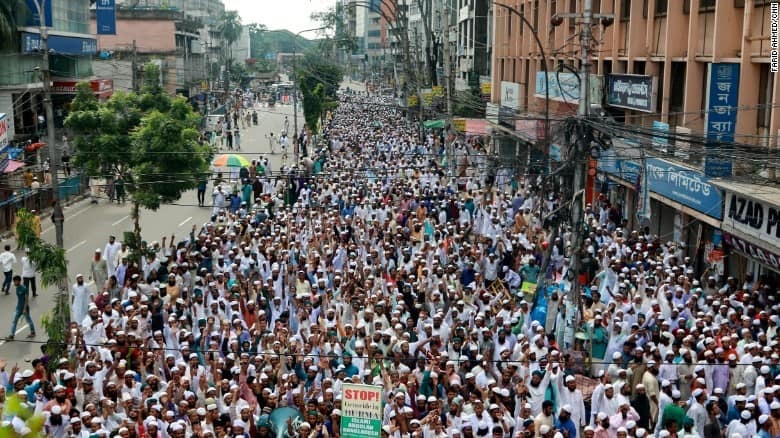 Hundreds of thousands of Muslims have gathered across various nations to protest against the genocide unfolding against the Rohingya Muslims of Myanmar. 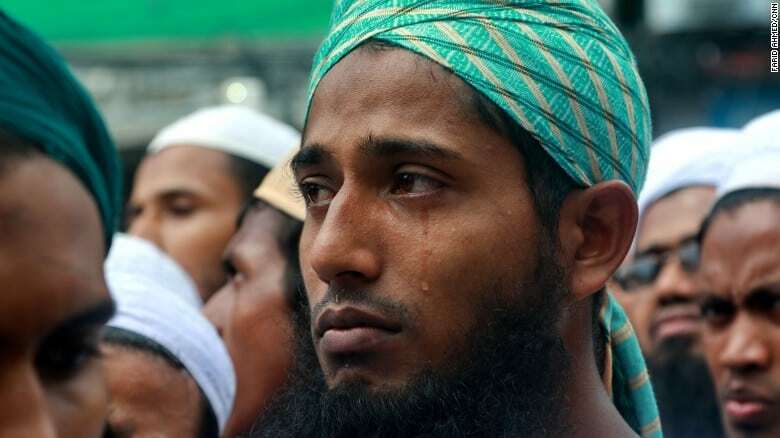 As the world continues to witness the unspeakable crimes that are being perpetrated against the Rohingya and so called Muslim “leaders” continue to sit idle with the rest of the major world powers doing little, Muslims have expressed their outrage and sympathies by holding demonstrations across the globe in massive numbers. 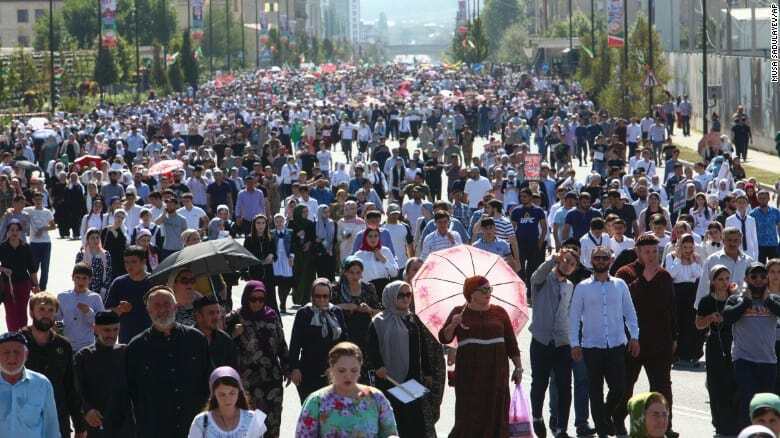 Tens of thousands of people in Chechnya, who are very well aware of genocidal violence, took to the streets in the capital of Chechnya to protest what is happening to the Rohingya. 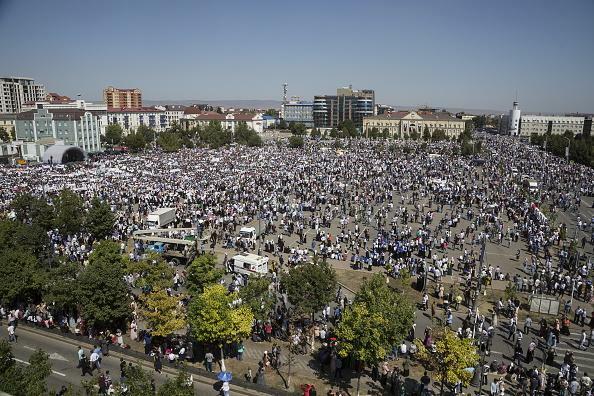 Pictures from the protest in the capital city of Grozny showed up to 30,000 people taking to the streets. Many thousands gathered in neighbouring Bangladesh, the country which has the most direct capacity to help the Rohingya and place pressure on Myanmar’s government or take more decisive action. 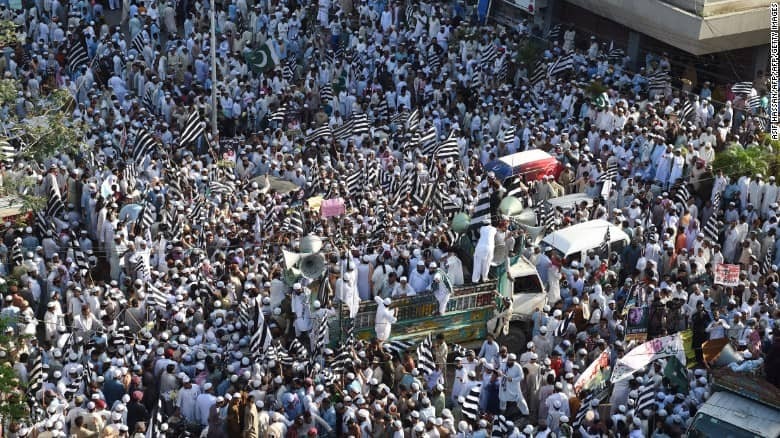 Thousands of protesters took to the streets in major cities on Friday including Karachi and Islamabad. 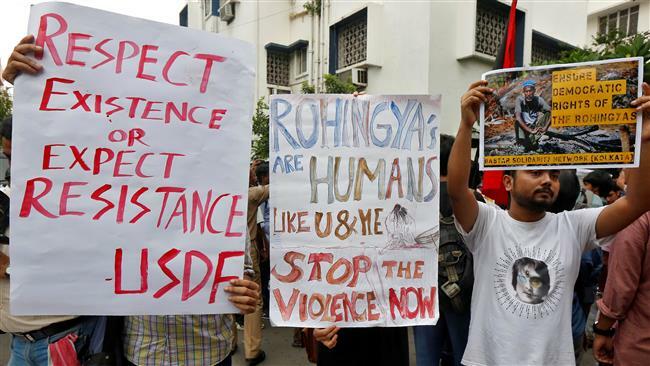 In Karachi, which hosts one of the largest Rohingya populations outside of Myanmar, more than 2,000 people demonstrated outside the Karachi Press Club. 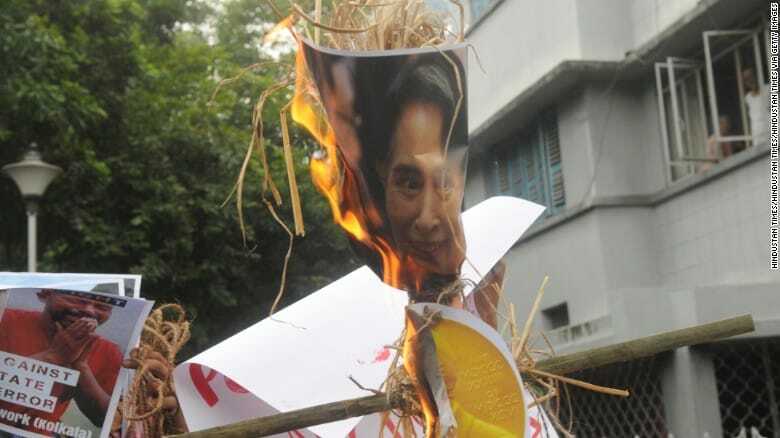 “If our leader gives the call, we will lay down our lives for the Burmese Muslims,” one protester said. A video has also gone viral on social media of a Pakistani soldier conveying the solidarity of the Pakistani military with the Rohingya, and that they are “only awaiting orders from above”. In an interesting move, lawyers in Karachi also boycotted legal proceedings on Tuesday in the city to express solidarity with the Rohingya. At the Sindh High Court (SHC), the members of the legal fraternity did not turn up to plead their cases fixed for the day. 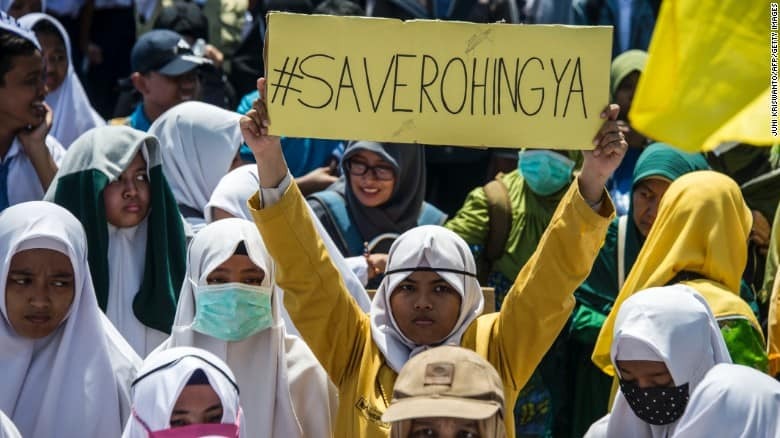 Instead, a general meeting was held where members declared the violence by Buddhists and subsequent migration of the Rohingya as the worst forms of inhumane behaviour. They also condemned the silence of world leaders on the conditions of the hundreds of thousands of Rohingya migrants stranded on Bangladesh’s border as Dhaka was not letting them in. In Islamabad, large crowds also gathered at the location of the Myanmar embassy. Many carried placards reading, “Why are these Muslims being killed? What is their crime?” as chants of “Allahu Akbar” reverberated. Protests were also held in Afghanistan on Friday. 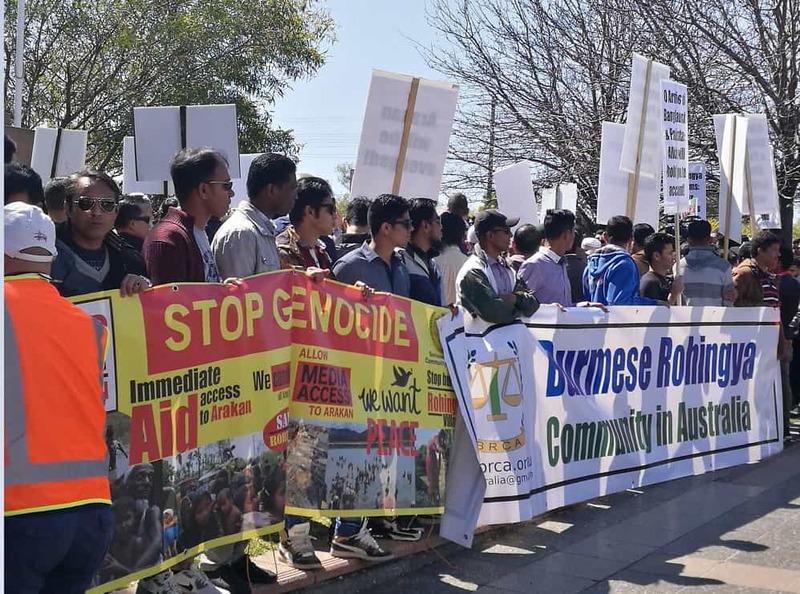 Hundreds marched in the eastern city of Jalalabad in support of the Rohingya while smaller demonstrations were held in the capital Kabul, including one outside the compound of the United Nations Assistance Mission in Afghanistan, and other cities. 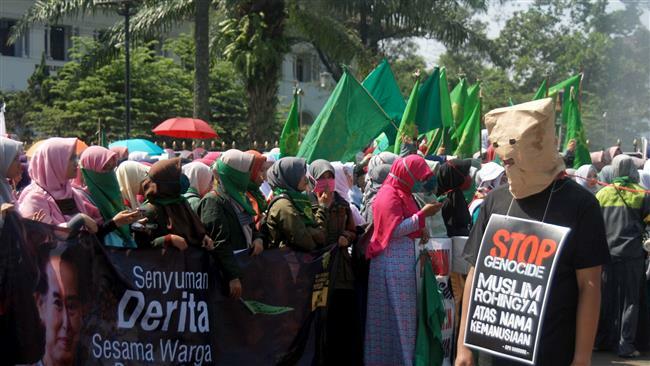 Several hundred Muslim women demonstrated outside Myanmar’s embassy in the Indonesian capital Jakarta. 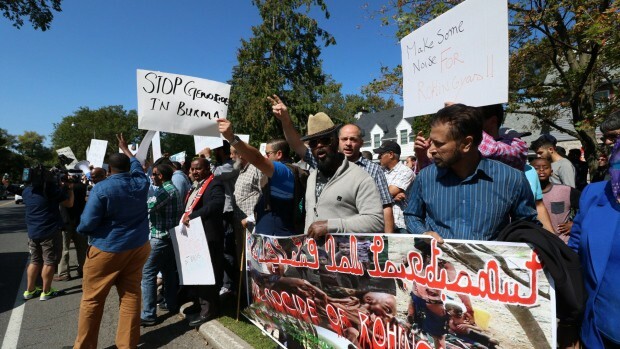 Hundreds of people showed their solidarity with Rohingya Muslims fleeing persecution in Myanmar at a protest outside the country’s Ottawa embassy on Sunday afternoon. 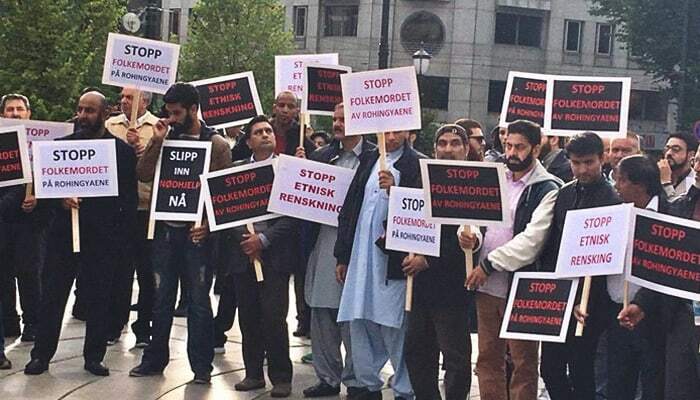 Hundreds of people gathered in Norway’s capital city on Wednesday evening to express solidarity with the Rohingya Muslims of Myanmar. The demonstration — organised by the Islamic Council Norway — was staged in front of the Norwegian Parliament, wherein protesters asked the country’s Nobel Committee to rescind Aung San Suu Kyi’s Nobel Peace Prize. There have been sporadic but regaulr protests in London and other cities across the UK. 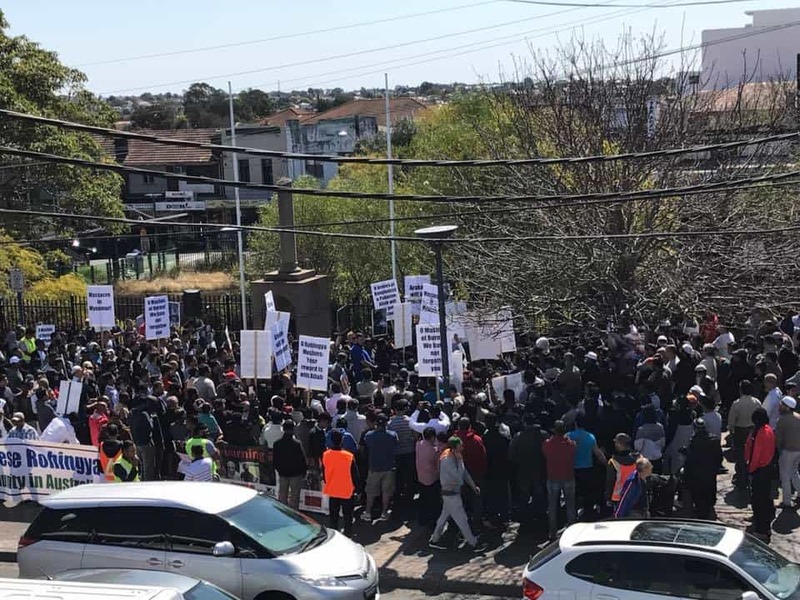 The largest last Sunday, drew thousands flooding the streets outside the Myanmar embassy and attracted protesters from across the country. Protests were also carried out in front of 10 Downing Street that drew large crowds. This is by no means an exhaustive list, with protests and demonstrations occurring in many other places around the world. 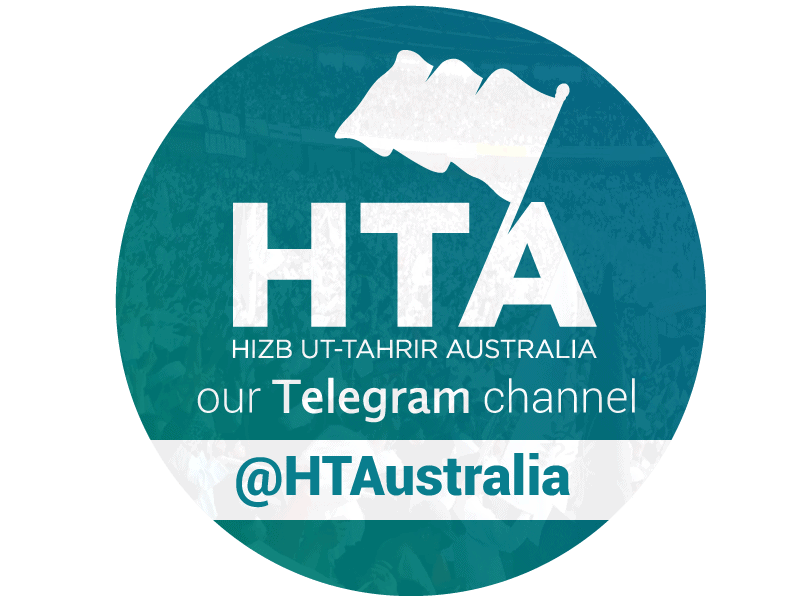 It is however reflective of the Ummah’s concern for the suffering of fellow Muslims – a demonstration of how we are one body and how when one part of that body feels pain, we all do. Moreover, these gatherings the world over show that the Muslims have concern for one another and that if the root political causes that systematically bring tragedy upon Muslims on an alarmingly regular basis are not addressed, we will continue to feel the pain coursing through the Ummah and have to conduct protests over and over again.